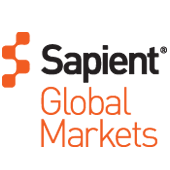 Sapient Global Markets, part of Publicis.Sapient, is a business consulting, technology and services provider to the capital and commodity markets. For more than two decades, we have worked with market participants, intermediaries, regulators and governments to develop and implement innovative solutions that transform their business. From advising on strategic initiatives to integrating advanced technologies into trading environments, we help firms optimize how they initiate and leverage the solutions and processes that run their front, middle and back offices. Located on four continents and in key centers relevant to the global capital and commodity markets, we provide access to a network of experts through local offices around the world.